Tested protection and good looks that match the iPhone 7 Plus perfectly. The new and improved Liquid Armor is brimming with modernity. 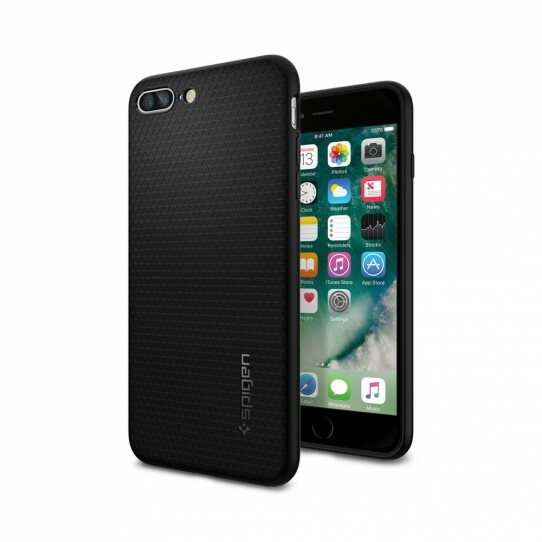 Made of Spigen’s premium matte TPU, the case is engraved with the latest triangle design for extra shock-absorption. The material is scratch and fingerprint-free and lends the case an amazing grip. Spigen Liquid Armor will leave others impressed by your new iPhone’s form-fitted, sleek look. Easily put on, this case gives you instant protection in an elegant high-tech look. Pushing the boundaries of design and technology since 2004, Spigen is a California-based company using premium%1materials to produce cutting-edge functional products that become an integral part of their customers’ lifestyle.